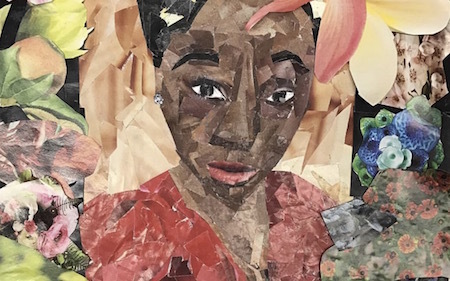 Recognizing the critical role of arts education in the development of creativity across subjects, apexart is devoting its next exhibition to the work of New York City high school students. Assembled from arts programs across the city, the drawings, paintings, and sculptures in this show attest to the expressivity that follows from the assertion of spaces for creative learning. Following a dismal report from the New York City Comptroller in 2014 that described arts in New York City schools as “inequitable and underfunded,” the City of New York has allocated $23 million annually to improve access to the arts in grades K-12 citywide. Measurable strides have been made in recent years, and yet despite the recent and unexpected congressional defense of the National Endowment for the Arts, which includes funds for arts education, support for the arts remains under long-term threat. With this exhibition, apexart underscores the crucial value of arts education—not just in schools across the city—but throughout the United States. Special thanks to the following teachers and administrators: Ingrid Butterer at Fiorello H. La Guardia High School of Music, Art & Performing Arts (Manhattan); Franchesca De Los Santos at New Visions Charter High School for Advanced Math & Science (Bronx); James Giardina at Humanities and the Arts Magnet High School (Queens); Ben Russell at The High School of Fashion Industries (Manhattan); Natalie Trainor at P.S. 371 Lillian L. Rashkis School (Brooklyn); Sara Wenger at South Bronx Preparatory: A College Board School (Bronx); Alex Whedbee at Metropolitan Diploma Plus High School (Brooklyn); Amy Salomon-Kohn at Mary McDowell Friends School (Brooklyn). Extra special thanks to Jackie Du for making the initial introduction to many of the participating art teachers.